Last week at Comic-Con, we got to talk with Alan Tudyk about his upcoming, crowdfunded webseries Con Man. Tudyk, who also wrote, produced, and directed the series, stars as Wray Nerely, an actor who was on a beloved but short-lived sci-fi TV series and now “tours the sci-fi circuit as a guest of conventions, comic book stores, and lots of pop culture event” while his co-star and friend Jack Moore (Nathan Fillion) has become an A-lister. The show pulls from Tudyk’s real experiences touring the convention scene. During our interview with Tudyk, we spoke about the film’s smashing success on Indiegogo (it raked in $3.2 million), how the campaign broadened the scope of the series, his experience with shady conventions, voicing characters in Disney animated films, going with crowdfunding rather than a network, and more. Check out the interview below. 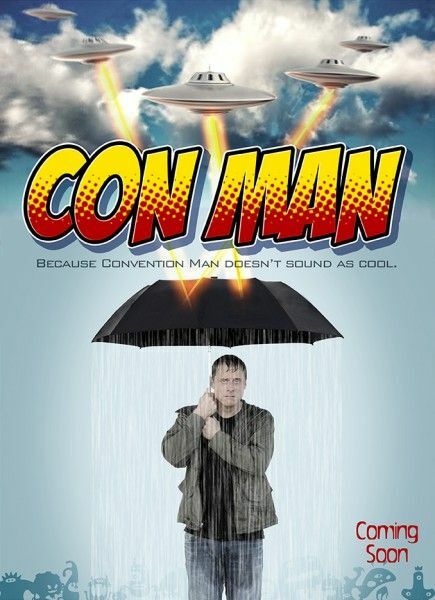 Con Man premieres this September on Vimeo. 0:16 – His reaction to the massive success of the show’s Indiegogo campaign. 1:12 – How Indiegogo participated in the fundraising campaign. 2:18 – The show’s structure and arc. 4:12 – How the success of the campaign changed the trajectory of the show. 5:49 – On making his directing debut, and how a large chunk of the crew were from Agents of S.H.I.E.L.D. 7:08 – The different personalities of the conventions Wray visits during the series. 9:44 – Shady independent conventions versus professional, corporate ones. 11:21 – Talking about voicing characters in Disney animated films. 12:07 – How much of the show is autobiographical with regards to Nathan Fillion’s character. 13:51 – Where and when people can see Con Man. 14:28 – Why they chose to go with crowdfunding rather than a network.